Not all workplaces look alike, but the great ones have several things in common. As Chron states, “Business flourishes when management fosters an atmosphere of open communication. When you communicate with your employees, you gain valuable insights regarding the work atmosphere, such as learning about small problems before they can escalate.” Our culture at WEI is one of community, communication, wellness and happiness. Our company has several programs in place that ensure our team members are being recognized, and appreciation for that recognition shows through the longevity of their tenures, which we are proud to say are more than double the national average! Our recognition programs include rewarding an ‘Employee of the Month’ with a bonus and a special reserved parking spot. Team members are also eligible for quarterly and end of the year bonuses, and these have been given out for 108 consecutive quarters. In addition, we strive to create a culture of lifelong learning; professional development is encouraged and recognized, with bonuses given for those who achieve career milestones or earn certifications in their field. We offer this through company-paid training. We also aim to provide healthy work-life balance; in work-groups that allow, flex time and flexible schedules are also common ways to recognize hard work. Our robust employee appreciation activities make us stand out as a fantastic place to work. Monthly activities like movie screenings, trivia lunches, family cookouts and volunteer opportunities are very popular. Team members also dedicate company-sponsored time to building homes for Habitat for Humanity, mentoring at local schools, serving food at Lazarus House, and organizing food and clothing drives through our WEI StepsUp program. Our company is proud to employ a deep bench of Subject Matter Experts to help architect, design, and deploy IT products and services using a combination of manufacturers ranging from market leaders to emerging technology companies. Always emphasizing quality over quantity, we have won numerous awards for outstanding customer service, being a family owned business, providing excellent solutions and supply chain diversity. Whether it’s through employee appreciation, diversity and inclusion, volunteerism, or community outreach, we are committed to making employee engagement and wellness a part of the very fabric of the WEI working life. And we think our team members can agree! 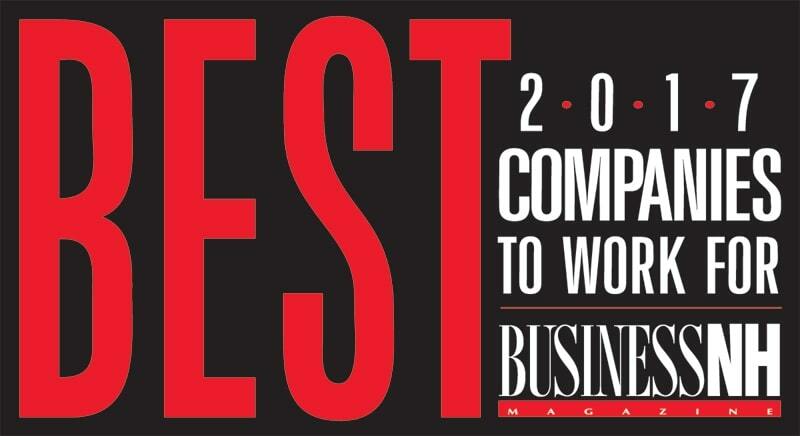 We’re honored to be named #2 in “Best Companies to Work For in NH” in 2017, and want to thank our team members for making WEI a great place to work. Want to know more? Find out what our employees have to say about Life at WEI and this recent recognition in the video below.